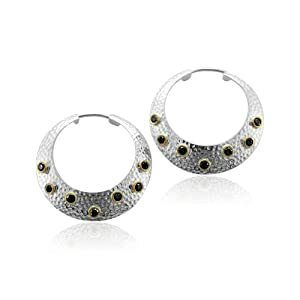 Looking for a pair of real diamond earrings? 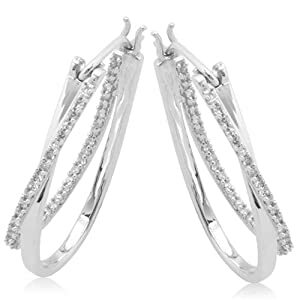 Whether you are buying diamond earrings as a gift for a loved one or for yourself, you should have a good idea of what you are looking for so you don’t get ripped off, or get something that doesn’t offer the brilliance you are looking for. First, start by looking at how much you are willing to pay. If this is for an investment then you should consider putting at least a couple paychecks toward the purchase price. Diamonds are a rare mineral and are priced as such. You can pay less for a less brilliant diamond, but why would you? People love diamonds for the way they sparkle and shine in the light. That is what makes them special. Choosing a less expensive diamond means sacrificing size and the clarity of the diamond. Clarity is what gives it that wonderful sparkle. First and foremost, be certain you are getting real diamonds, natural diamonds and not some chemical knock-off. Real diamonds do not hold heat, so if your diamond has been cleaned and is free of dirt and oil breathe on it. It should remain clear of fog, otherwise, it is fake. Next, consider the scratch test. A diamond remains one of the hardest natural substances on earth. It should not be scratched at all, as it is nearly unscratchable. If it is scratched that is a sign it is a poor grade diamond and should be priced much lower based on its comparative size. Also, it is not enough to use a diamond to scratch a mirror as proof it is real. Lots of things can scratch mirrors, including Cubic Zirconia. And using a diamond to scratch a mirror is one way of scratching it or causing damage to its surface area. 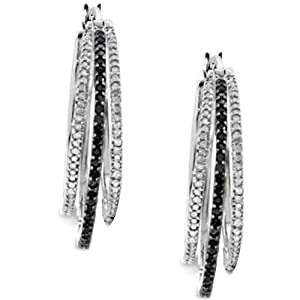 The best way to find high-quality, real diamond earrings is to visit a reputable jeweler. Online purchases through reputable websites such as Amazon are a great way to get the best value for money. STAY AWAY from jewelry stores located at the mall. They have a much higher overhead and therefore are much more likely to mark up their jewelry. Real diamond earrings are usually about the quality of the diamond you buy, but that does not mean you should forget about the post or the setting. Make certain you choose a setting which is big enough to properly display the diamond within. No one will be fooled by a huge setting on a giant post with a little tiny diamond at the center of it. 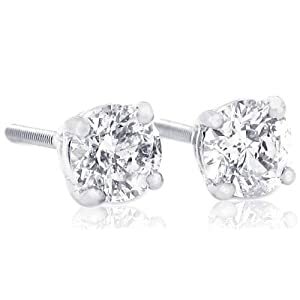 Be certain you choose a diamond that has enough weight and size to look good on the ear where it will eventually sit. 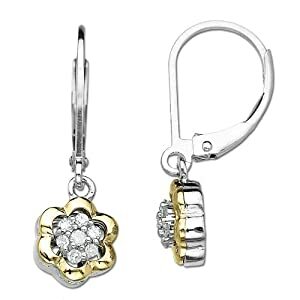 Also, make certain you choose a post made from sterling silver, platinum or real gold. Good qulaity posts hold up better after cleaning, retain their shape and last long after cheaper posts have broken or bent. 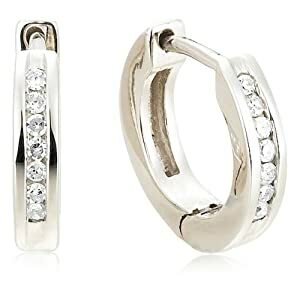 A real diamond earring purchase is a fabulous gift for a loved one and a smart as well as enjoyable investment for your own future. Just make certain you get a real diamond, a smart setting and design that really shows off the gem, and high quality posts for safety and comfort.